If you are looking to enhance the overall prominence of your eyelashes, LATISSE is the answer. Latisse helps grow eyelashes long and strong even when they have thinned due to aging. There are many eyelash growth products on the market but Latisse is the only FDA-approved treatment available. Latisse is easy to use – apply to clean, makeup-free upper lash lines once per night – and lashes begin to grow darker and thicker. Some clients notice a difference after 8 weeks, most see a noticeable difference between 12 and 16 weeks. If you have never used Latisse, or you’re an Evolutions’ client who loves it, we have great news for you! Latisse is now available in a larger 5 mL size and there is a $25 rebate available for Brilliant Distinctions members. The larger Latisse size means 67% more product for 10 weeks of use, which is the length of time that clinical studies show is necessary to start the program and grow lashes. The $25 rebate on your purchase of 5 mL Latisse (not the original 3 mL size) is instantaneous at time of purchase at Evolutions to Brilliant Distinctions members. The Brilliant Distinctions program is offered through Allergen and allows members to earn points each time you get Botox Cosmetic and Juvederm treatments, and when you purchase Latisse. Redeem those points for big savings on Botox, Juvederm, and Latisse at a later date. Sign up now for the Brilliant Distinctions program online. Registering is free and only takes about 5 minutes. Come in today to purchase the new, larger 5 mL Latisse in Santa Barbara at Evolutions Medical Spa and get started on growing thicker, longer lashes! Our “Summer Skincare” event provided us with so much information that we have decided to split the recap into three posts – each dedicated to the three topics of the evening – all of which are equally important. The first topic was about the Clarisonic Skin Care System and can be read here. The second topic was about Obagi Medical Products and can be read here. Our final topic is about Colorescience mineral makeup. 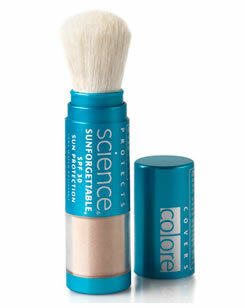 What is Colorescience Mineral Makeup? Colorescience is a sunscreen company with an emphasis on beauty. 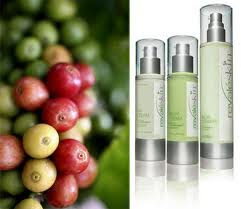 The company operates under the motto “We will not compromise health for beauty or beauty for health”. True to those words, Colorescience makeup is made up of pure minerals – there are no dyes, talcs, alcohols, mineral oils or fragrance in their products. Colorescience uses titanium and zinc – natural sunscreens – in their products so they protect against sun damage while also correcting your complexion. Tip: Many makeup companies these days have introduced a “mineral” line of makeup but most of these only contain a trace amount of minerals. To test the purity of mineral makeup, pour the powder into a glass of water. Mineral makeup should float on top, without falling through (see image on right). Skin Brightening Primer: illuminates and improves the look of your skin. A yellow tint refines redness to deliver a vibrant glow. Wild to Mild Primer: one of the most popular primers – Wild to Mild gives a sheer, sun-kissed look while protecting and soothing to even skin tones. Chocolate Mousse Mattifying Primer: this cocoa-based primer is an excellent choice for oily or shiny complexions and darker skin tones. It works to hydrate and balance and provides a matte finish. About Face Calming Primer: for sensitive skin, this primer diminishes redness and irritation for a calmer complexion. 2) Colore and Correct: Hide imperfections and achieve an overall even skin tone when you colore and correct with Colorescience PRO foundations and correctors. Blend and layer to achieve maximum correction. Sheer Creme Foundation: this silky foundation is designed for seamless coverage. Use with a powder for a flawless finish. Loose Mineral Foundation SPF 20: this lightweight, very water resistant powder feels as smooth as a cream, but doesn’t dry the skin. Pressed Mineral Foundation: pressed minerals can provide light to full coverage without the thick look of traditional pressed powder. 3) Set and Refresh: Colorescience PRO setting mists turns minerals into a velvety finish. They keep minerals in place while adding hydration to your skin. Use throughout the day to revitalize your look. Three types of mist available: Sunforgettable to be used before, during and after sun exposure, Be Still for all skin types, and Problem Skin setting mist. 4) Protect and Shield: Sunforgettable SPF 30 and 50 are lightweight minerals that block 97% and 98.2% (respectively) of the UV rays. The minerals are translucent and feel barely-there so they can be used on men and children without looking like they have makeup on. Dr. Terry Perkins, of Santa Barbara Cosmetic Surgery Center, recommends using sunscreen year round to keep your skin healthy and youthful. Colorescience Sunforgettable self-dispensing brushes make it easy for men, women, and children to apply, and re-apply, SPF throughout the day. Tip: Clean the brush two to three times per week. Spray the brush cleaner on a washcloth and hold brush upright (so the minerals won’t dispense) and swipe back and forth on the washcloth. Find Colorescience in Santa Barbara at Evolutions Medical Spa. Next time you’re in, ask one of our clinicians to show you how Colorescience can enhance your look! Spring is upon us, as well as the sun! Even though some days may be spotty here in Santa Barbara, fog does not completely block out harmful UVB rays! We hope that after all of our education about sun damage and your skin, that your face is adequately covered with a physical sunblock (some of our favorites include Colorescience Sunforgettable Mineral Make-Up and TiZo SPF 40) and maybe even a hat, but let’s not forget our lips! Think your lips are protected because you’ve coated them with your favorite lip balm or gloss – think again! Did you know, according to an article in the Washington Post, that “certain lip balms and glosses can actually increase your chances of developing skin cancer”?! Applying something clear and shiny to your lips, such as a gloss, actually increases light penetration and ups your chances of developing cancer. The article suggests that women who are planning to be outdoors for more than 20 minutes at a time should use a lip sunblock that is SPF 30 or more, ideally, and avoid shiny lipstick unless they have a layer of sun protection underneath. With that said, at Evolutions Medical Spa Santa Barbara, we have a solution for you! Colorescience now has an SPF 35 lip gloss – LIP SHINE SPF 35. 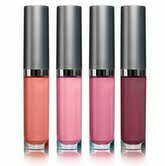 This lip gloss is chemical-free, dye free and provides a physical sun block (it is 5% zinc oxide) in four elegant sheer colors. Keep your lips luscious – and cancer-free! Colorescience Lip Shine SPF 35 in four shades, along with many other Colorescience products, are available at Evolutions. Book a complimentary Colorescience mineral make-up consultation by calling 805.687.0212. Everyday facial sun protection is one of the key ways to keep skin from becoming wrinkled, developing hyperpigmentation and, in general, aging too quickly. At Evolutions Medical Spa Santa Barbara, cosmetic surgeon Dr. Terry Perkins hand-picks products that are optimum for a variety of skin types and skin concerns. One of the product lines that we carry is Colorescience Pro – high-performance mineral make-up made from dermatologist recommended formulations that camouflage skin concerns while protecting skin from the sun and the environment. As it turns out, Colorescience mineral make-up – specifically the Colorescience Pro Mineral Powder Sunforgettable SPF 50 product – is not only highly recommended by us, but also by other widely read publications! Real Simple magazine, June 2010. In an article about “Sunblocks . . . Solutions for All Kinds of Excuses”, Colorescience Pro Sunforgettable SPF 50 is lauded as a “user-friendly sunblock” most likely because of its unique carrying case and retractable brush. Prevention magazine, June 2010. Prevention features Coloresciencce Pro Sunforgettable SPF 50 in “Safe Sunscreens That Block Well Too” and describes it as “a brush-on mineral sunscreen powder, (that) goes on slightly tinted so you don’t miss spots–but the color quickly fades to match all skin tones”. With the sun shining brightly and summer only weeks away, people become more diligent about skin protection this time of year. At Evolutions we want to emphasize that sun protection is important all year round. It is never too late to develop a great sun defense for you skin! Visit Evolutions Medical Spa Santa Barbara to learn more about the Colorescience line and ask about a complimentary consultation. Evolutions Medical Spa carries Colorescience in Santa Barbara. Santa Barbara’s Evolutions Medical Spa loves the Colorescience mineral skincare makeup line because Colorescience makeup gives great results along with sun protection and is free of dyes, fillers, talcs, mineral oil, perfumes and other ingredients found in many makeup lines. Our Colorescience representative will be at Evolution’s Anniversary Open House (read all the details here) on Wednesday, January 27th, with complimentary Colorescience makeup applications available! Colorescience is always making news and here is the latest! Colorescience Let Me Be Clear Primer is featured in NEW BEAUTY magazine (see image at left) as the “Pore-Perfecting Primer” and was reviewed on the New Beauty Blog. The primer helps to smooth skin texture, reduce the appearance of pore size and redness and fights acne with salicylic acid as a distinctive ingredient. Orange County Register online featured Colorescience and some insight into the line of mineral makeup by highlighting Colorescience founder Diane Ranger, “the Mother of Mineral Makeup”. Shown in the picture are Colorescience’s Sheer Crème Foundations. Colorescience is available in Santa Barbara at Evolutions Medical Spa.